OZURDEX® is an intravitreal implant containing 0.7 mg (700 μg) dexamethasone in the NOVADUR™ solid polymer drug delivery system. 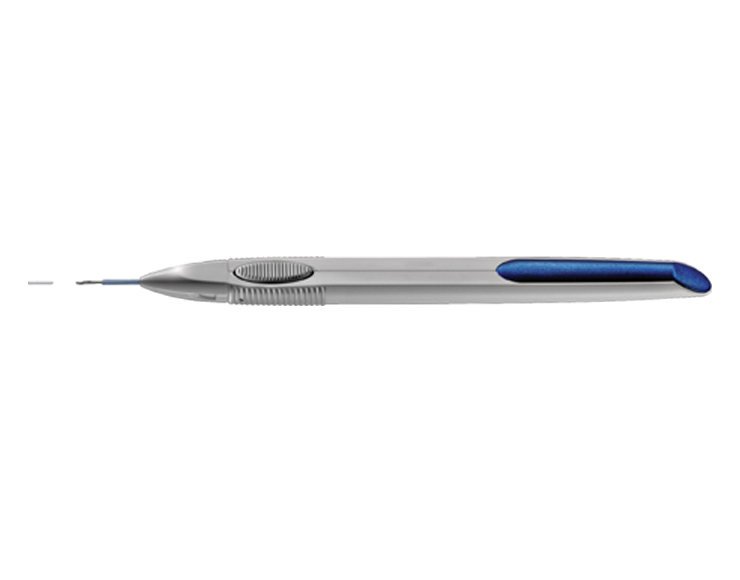 OZURDEX® is preloaded into a single-use, specially designed DDS® applicator to facilitate injection of the rod-shaped implant directly into the vitreous. The NOVADUR™ system contains poly (D,L - lactide-co-glycolide) PLGA intravitreal polymer matrix. OZURDEX® is preservative-free. The intravitreal injection procedure should be carried out under controlled aseptic conditions. Following the intravitreal injection, patients should be monitored for elevation in intraocular pressure and for endophthalmitis. OZURDEX® contains a corticosteroid indicated for the treatment of macular edema following branch retinal vein occlusion (BRVO) or central retinal vein occlusion (CRVO). OZURDEX® (dexamethasone intravitreal implant) 0.7 mg is supplied in a foil pouch with 1 single-use plastic applicator.